Hello all. We have started this S.O.M.E (Saviors of Mother Earth) memoir, as a means of chronicling the efforts and activities being done by environment enthusiasts. A little background about the series of events which has lead to this chat with Mrs. Anuradha. A group of IIM Lucknow students have joined hands together to form a group “Mission SOS” (Mission Save our Surrounding) for spreading environmental awareness and help people adopt more environment friendly outlook. The motivation behind this initiative is the fact that change begins from within, and that each individual can help make the world a better place to live in by consciously deciding to adopt environment friendly ways. As a part of our initiatives to help spread the message, we are interviewing prominent people who have been involved proactively in environmental awareness. In this edition, we have Mrs. Anuradha Gupta, General Secretary of Prithvi Innovations sharing her experiences about founding Prithvi Innovations and her thoughts on various issues facing mankind and the way normal citizens can make an impact in living a greener life. The quoted line in the beginning is an excerpt from the interview. Over to the Show. P.S: Maam, we are happy to have you as a part of this Show. I on behalf of Mission SOS team invite you in the Show. A.G: Thank You Prashant and Team Mission SOS. P.S: For the starters, could you please share some information with us about Prithvi Innovations and the motivation behind starting it. A.G: Yes sure. I would like to start with the motivation behind its inception. The primary thought was that each one of us as an individual has a responsibility of giving back to the society. We come into this earth from the womb of Mother nature, but sadly over a period of time, we begin to damage it unintentionally. Just think of this, a new born child which comes into this world, the air it breathes is going to be highly toxic given the current rate of environmental degradation. Don’t we as responsible citizens have a role to ensure that future generations are not hurt by our actions. It was this belief that led to the inception of Prithvi Innovations. 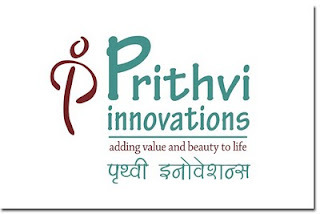 We started Prithvi Innovations in 1999 with a handful of members. We got officially registered on 2002. P.S: That’s indeed a powerful motivation. So what kind of activities does Prithvi Innovations conduct? A.G: Initially, it started with small activities like spreading awareness among citizens and involving children. Then we started arranging workshops, campaigns and involved the school children. We have conducted 2-3 major events, one with the help of International Physical Activity and the Environment Network (IPEN) who financed the vent, about sensitizing the citizens to the risk of poisonous toxins which the pollution is causing and the ways in which we can adopt more eco-friendly ways. We also conduct tree-plantation annually, and spread awareness about saving waste, recycling energy etc. P.S: Good to know that Prithvi Innovations has been involved in a variety of social awareness activities. Coming to the involvement of school children, what opinion do you have on the involvement of youth in such activities and the extent to which they can contribute towards such issues? A.G: That’s a nice observation which you have made. Youth, by virtue of their name, represent dynamism and tremendous energy. The contribution which they can make towards the society is huge. Yet sadly, the energy has to be channelized in the right direction. Once the children realize how important they can play a role, I think it would be easier to educate people about various issues. But initially, every youth must realize it within him/her. That survival doesn’t matter, living is what matters. And today’s youth by all virtues are smarter, tech savvy and bright. It would be great to see more Youth getting involved in social issues. Global warming being the current critical aspect to be worked on, the Youth can play an important role in many ways. P.S: Very true Maam. I believe with experienced people like you, being present to direct the students, the good work will go on. Could you share with us few examples of the ways which can be adopted by families or by communities..? A.G: well there are varieties of things that one can do. To quote few things, one would be making judicious use of water in kitchen/bathroom. Another insignificant thing, which not many people don’t know is how their purchasing habits can make an impact. If people can buy stocks in bulk instead of buying it in random way, it would help conserve fuel, time and energy to say the least. One’s money is saved also one ends up making an effective contribution. Another thing which I have observed is to practice the small things in home. As action always speak louder than words, it advisable to sensitize the children in families towards this. Once this is done, the children will go on to adopt many such practices. P.S: You really seem to be passionate about involving children and sensitizing them towards the environment issue. P.S: Very good then Maam. On a final note, your thoughts about Mission SOS. A.G: Well, when I came to know about such initiative by IIM Lucknow students, it was good to see professionally educated students coming forward to join hands to work together on such issues. Iam very happy to get to work along with Mission SOS and my best wishes to Mission SOS in making a better impact and helping the world become a better place to live. A.G: It’s a pleasure to be a part of this interview. Thank You. If you are interested in being a part of such initiative, and want to start a S.O.M.E (Save our Mother Earth) base at your place, feel free to contact us or share any experiences which you would have had. P.S: I thank Uday for patiently recording the video of the interview. We will be uploading the video soon.